From Anyang City, Henan province, Doctor Liu Yuansheng has engaged in clinical work for 30 years. 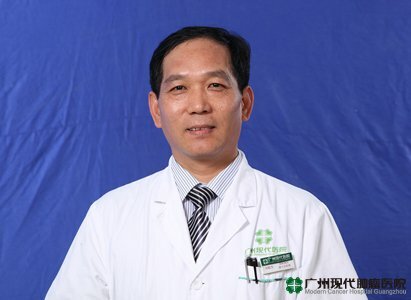 During these years, by virtue of a love for medicine, patient care and the sense of achievement after successful treatment, Doctor Liu has been unremittingly striving in medical field. Tumor is always a difficult problem, in order to treat more patients with cancer, Doctor Liu have been promoting himself through continuous learning or participating in cancer research. Once he participated in programs involved in iodine particles support clinical application for esophageal carcinoma and value evaluation as well as clinical application value of radiofrequency ablation for liver cancer, and he also won awards. At the same time, Dr. Liu has summarized his own many years experience of cancer treatments and written and published more than 10 papers. Due to his uninterrupted contribution to cancer treatment and research, Dr. Liu was recommended to be the committee of Chinese Radiological Society, Chinese Society of Clinical Oncology (CSCO) and particle therapy branch association of tumor minimally invasive treatment of Chinese Anti-Cancer Association. All these were the recognition and encouragement to Dr. Liu. Dr. Liu specializes in cryotherapy, radiation particle therapy and radiofrequency ablation and other minimally invasive treatments. During his participation in the seventh academic conference of tumor minimally invasive treatment, he was interviewed about the principle and effects of radiation particle therapy. he also stressed that the particle implantation surgery needs specific solution which is based on lesions’ characteristics, locations, sizes, etc. what’s more, surgery is usually under the guidance of imaging equipments (such as CT, ultrasound, X-ray), and also can achieve good effect in clinical practice. Dr. Liu has also been interviewed by "TRIBUNE", "Compass Newspaper", "Java Post Newspaper", “PEOPLE 'S TONIGHT", etc. Meanwhile, he has also demonstrated live interventional treatment and cryotherapy on site, which has showed the real minimally invasive treatment and received consistent praise from reporters. For the 30 years of tumor clinical work, Dr. Liu has lived up to the principle of performing proper treatment for proper patients at the proper time without concealment, exaggeration or blindness. It is also due to this principle that makes patients are more willing to trust this doctor and feel more confidence in treatment. Dr. Liu said: as a doctor, we not only provide technical treatment for patients, but also should take responsibility for them to contribute love and care. Professor Bing Jing'an, the Chinese cancer treatment specialist said: “tumor treatment is an art which requires proper degree of treatment as it never allows excessive or insufficient treatment." Developing the most appropriate treatment options as per correct diagnosis as well as patient’s condition is the key point for Dr. Liu performing cancer treatment. Only with comprehensive and personalized medical treatment, the best therapeutic effect shall be realized for patients. He is such kind of doctor who is always there for solving patients’ problems and providing care and comforts for them. Dr. Liu specializes in the application of interventional therapy, cryotherapy, radiation particle therapy, radiofrequency ablation and other minimally invasive technologies to treat the tumors in the body. Cancer is a kind of disease which mainly features local symptoms and its treatments shall rely on comprehensive solution as any single therapy has its the limitations. For half a century, cancer treatments are basically the three methods: surgery, radiotherapy and chemotherapy. But many cancer patients are in advanced stage when they go to hospital for treatment and at that time most of them have lose the opportunity for surgery. Besides, these treatments also have some disadvantages like large trauma, high recurrence rate and bringing adverse side effects. Dr Liu said: "integrated minimally invasive treatment is the perfect combination of conventional treatment methods with new and high technologies, as it can not only effectively remedy the disadvantages of the conventional three methods: surgery, radiotherapy and chemotherapy, but also prolong the survival period and relieve patients’ suffering and pain so as to improve their life quality. Minimally invasive treatment and the integrated therapy of traditional Chinese medicine and Western medicine have become the main treatment means for cancer, as they feature less trauma, good effects, favorable repeatability, etc, and also plays an irreplaceable role in cancer treatment." 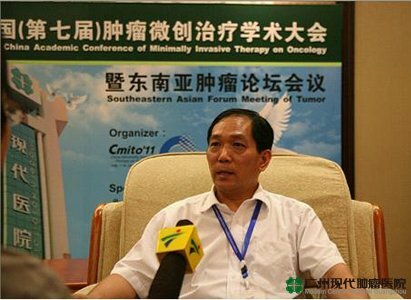 During so many years of tumor clinical work, Dr. Liu has encountered countless patients with countless difficulties, but with the overall assessment of the patient's condition, carefully formulated treatment options, comprehensive consideration on the events that might happen and timely prevention and settlement of all unexpected situations, he has successively solved these thorny problems.